In the 1930s African Americans faced three distinct historical crises that impacted the lives of African Americans directly—the Great Depression, the existential-identity crisis, and the Italo-Ethiopian War, with its threat of a race war. A sizeable body of black poetry was produced in this decade, which captured the new modes of autonomy through which black Americans resisted these social calamities. Much of it, however, including the most influential protest poems, was dismissed as “romantic” by major, leftist critics and anthologists. Anthems, Sonnets, and Chants: Recovering the African American Poetry of the 1930s, by Jon Woodson, uses social philology to unveil social discourse, self fashioning, and debates in poems gathered from anthologies, magazines, newspapers, and individual collections. The first chapter examines three long poems, finding overarching jeremiadic discourse that inaugurated a militant, politically aware agent. Chapter two examines self-fashioning in the numerous sonnets that responded to the new media of radio, newsreels, movies, and photo-magazines. The third chapter shows how new subjectivities were generated by poetry addressed to the threat of race war in which the white race was exterminated. The black intellectuals who dominated the interpretative discourses of the 1930s fostered exteriority, while black culture as a whole plunged into interiority. Anthems, Sonnets, and Chants delineates the struggle between these inner and outer worlds, a study made difficult by a contemporary intellectual culture which recoils from a belief in a consistent, integrated self. JON WOODSON is the Graduate Professor of English at Howard University, received his Ph.D. from Brown University. Woodson is a scholar and teacher of Modern American literature with interests in poetics, the novel, and the long poem. In 2006, Woodson was a visiting Fulbright lecturer in American Literature at the University of Pecs and at ELTE in Budapest. 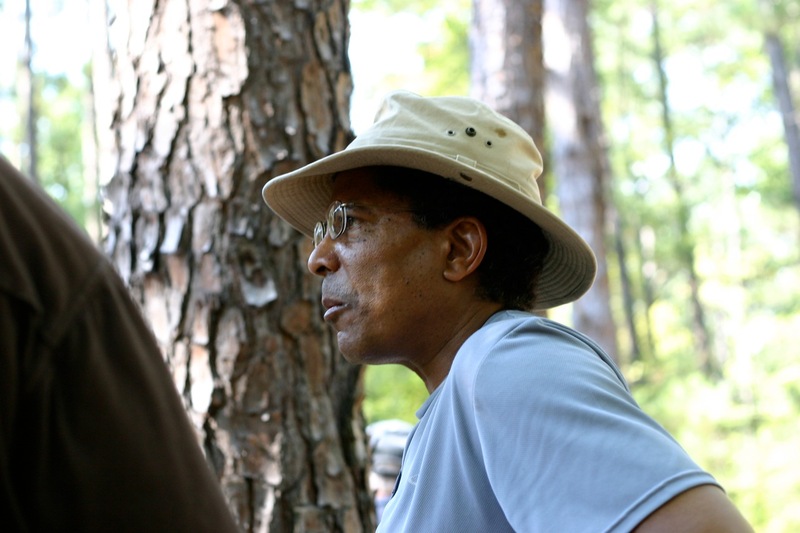 His articles have appeared in Obsidian II, African American Review, The Furious Flowering Of African American Poetry, The Dictionary of Literary Biography, Encyclopedia of the Harlem Renaissance, The Harlem Renaissance: a Gale Critical Companion, and The Oxford Companion to Women’s Writing. His critical studies are To Make a New Race: Gurdjieff, Toomer, and The Harlem Renaissance (1999) and A Study of Catch-22: Going Around Twice (2000). 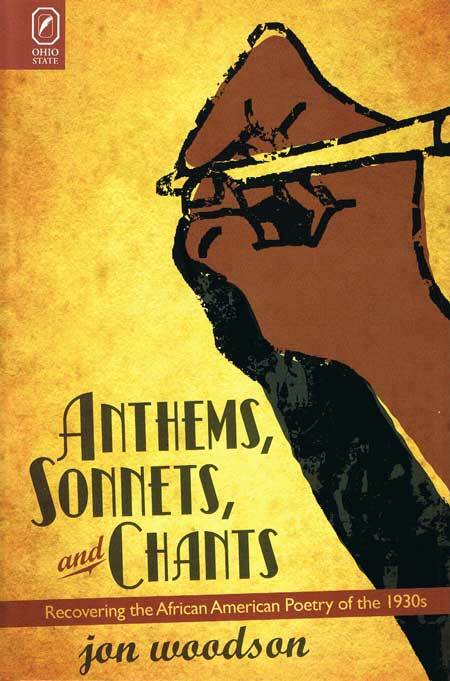 Anthems, Sonnets, and Chants: Recovering the African-American Poetry of the 1930s, Ohio State University Press 2011. Recent work is directed toward a study of the Egyptian materials in Z. N. Hurston’s fiction. Jon Woodson’s chapbook, Cage with a Live Mouth, has just been translated into Hungarian and is forthcoming in a bilingual edition. His poems have been published in Poet Lore, Northeast Journal, Arjuna Library, Baltimore City Paper, and Manzanita Quarterly. He has also published two chapbooks, I Slept Like Liquid Paper and Worry Dolls. Tags: A Study of Catch-22: Going Around Twice (2000), African American Review, and Manzanita Quarterly, Arjuna Library, Baltimore City Paper, Encyclopedia of the Harlem Renaissance, I Slept Like Liquid Paper, Modern American literature, Northeast Journal, Obsidian II, Poet Lore, The Dictionary of Literary Biography, The Furious Flowering Of African American Poetry, The Harlem Renaissance: a Gale Critical Companion, The Oxford Companion to Women’s Writing, To Make a New Race: Gurdjieff, Toomer and The Harlem Renaissance (1999, Worry Dolls.